This is a very short lesson to demonstrate how to enter and run a python program. We will print a simple line of text (Yes, it is the traditional “Hello, World” ) to the console window. Open up your command prompt. By default it will take you to C:Users<username> subdirectory. This will open up the Notepad text editor. Note that the extension .py is very important. 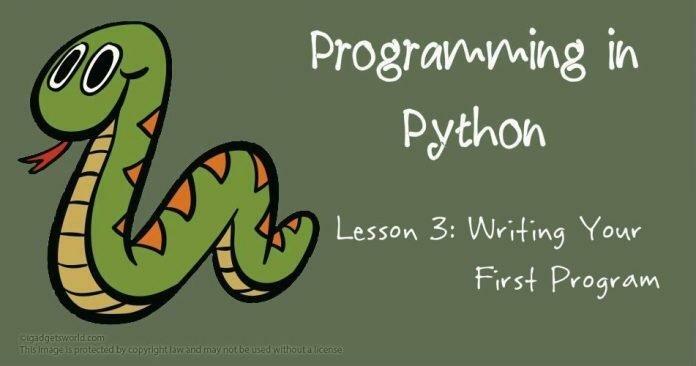 Do not forget to include it because it is the only way Python interpreter knows that the file we are trying to run is indeed a python program. What print() does is that it prints whatever is inside the parentheses. Basically it is a Function. Any function in Python is always followed by a parentheses. We will go into the details of Function later. We will use this print() function a lot and even if you don’t understand anything now, don’t worry, you get comfortable with it gradually. That’s all we need now. Save and Exit Notepad and we are back to the command prompt window. and it works. This is because the extension .py is automatically recognized as Python program by Operating Systems. 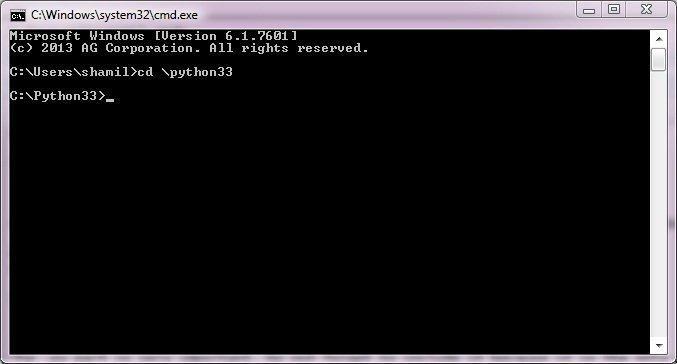 You may have noticed that the file helloworld.py is located inside the C:Python33 directory. Any file that we create while inside this directory will be located within it. You can also create and save python files in any location of your computer and run the programs from there. 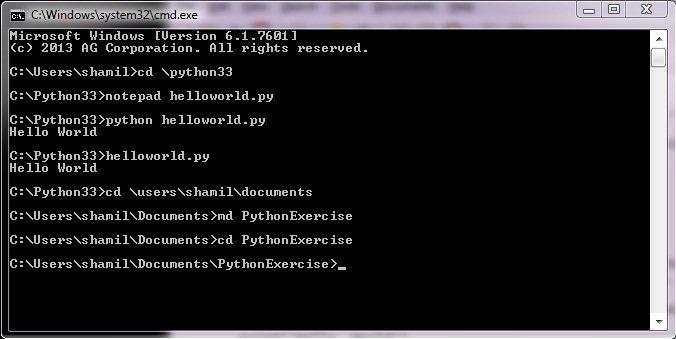 I suggest you create one folder within the Documents directory and save all the python programs of this tutorial there. Now you can repeat the earlier steps for creating a python file and then running it from command line. You don’t need to provide any extra command to run the programs just because you changed the directory. This is because the link between the sub directory we created and the Python Interpreter is in our system path. So this is the end of this chapter. See you in the next tutorial that will be lesson 4! !